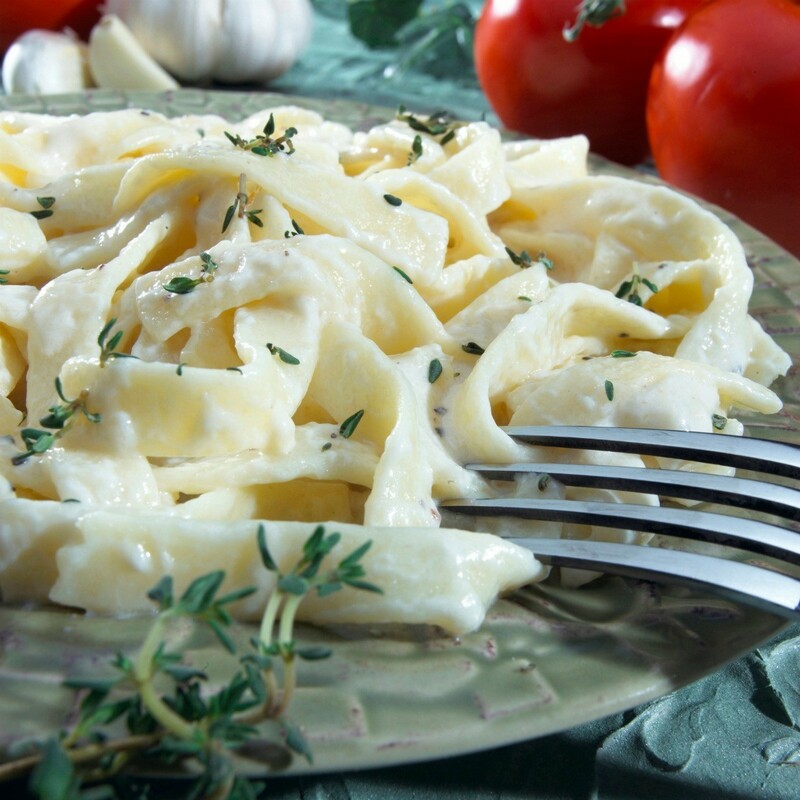 A renowned white Italian sauce on an egg noodle pasta makes for a delicious main dish. This is a guide about fettuccine alfredo recipes. One of my most favorite pasta dishes! Be sure to serve with crusty bread smothered with unsalted butter and a vinaigrette dressed salad! Cook fettuccine al dente according to package directions. Drain, reserving 1 cup of the pasta cooking water, and using the same pot melt the butter over medium heat. Add the cream and 1/2 of the reserved pasta water and bring to a simmer. Add the fettuccine and the Parmesan cheese and toss. Season with salt and pepper and add more pasta water if a thinner sauce is desired. Place on serving plate(s), garnish with the extra Parmesan and serve. Bring a large pan of water to boil. Meanwhile, in a food processor or blender, process cottage cheese until very smooth. Add Parmesan, milk, egg, substitute, garlic, nutmeg, pepper, and salt. Process until very smooth. Cook fettuccine according to package directions in boiling water. Drain and put back into hot pan. Add cheese sauce; place pan over medium heat. Cook 1 minute, stirring constantly, until sauce has thickened and coated pasta. Toss with basil and serve. This is a quick and easy meal to prepare when you have little time to spend in the kitchen. Add a salad and garlic bread and you have a complete meal. Prepare noodles as directed on package. While noodles are cooking, prepare Alfredo sauce from scratch or heat up store bought sauce. Once sauce is hot and bubbly, add crab meat and stir until thoroughly combined. Serve over fettuccine. 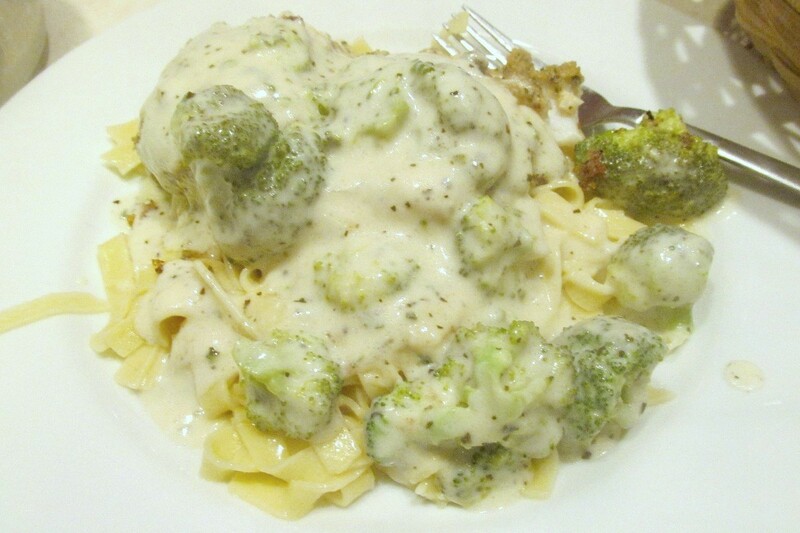 Creamy, cheesy Alfredo and broccoli sauce with either broiled haddock or cod served over pasta makes a delicious filling meal. This is a guide about broiled haddock over broccoli Alfredo fettuccine. This page contains chicken alfredo recipes. 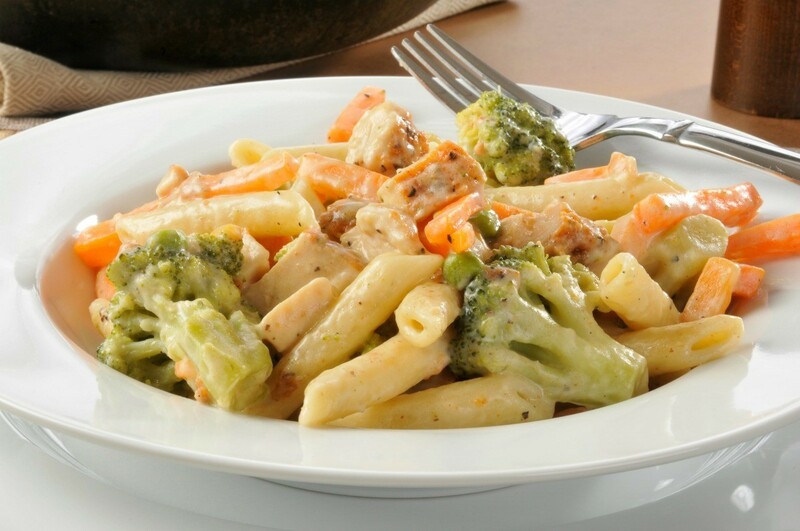 Combining creamy alfredo sauce with chicken and vegetables can make a delightfully delicious, yet simple nutritious meal.